Hunt for truffles in Italy's Alba region with a truffle hunter during this private excursion. 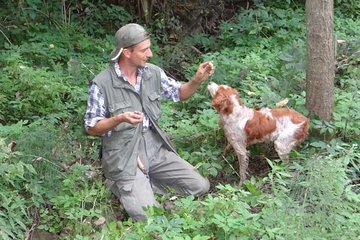 Use a truffle hunting dog to follow the scent of the elusive delicacy through the woods, and then enjoy a generous food tasting of local foods and truffle products such as truffle oil, salami, bruschetta, and wine. Food tasting and hotel pickup are included.